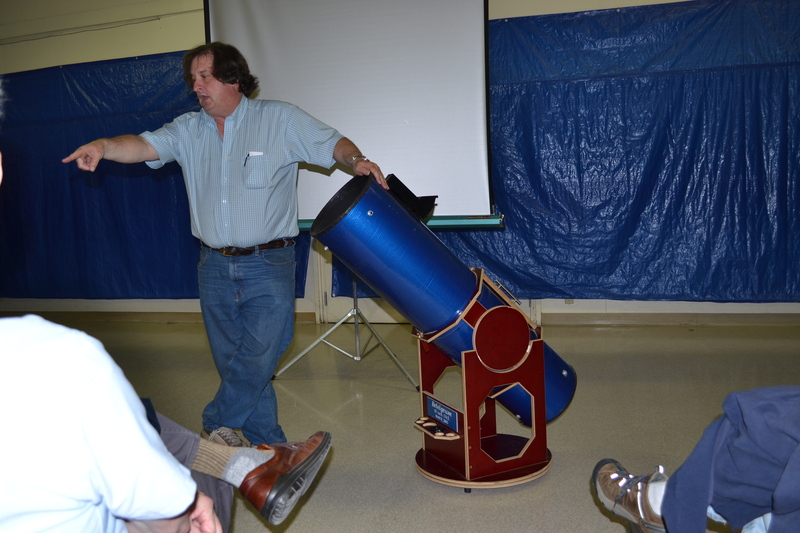 Approximately once a month the SJAA holds a class oriented to beginners in astronomy. 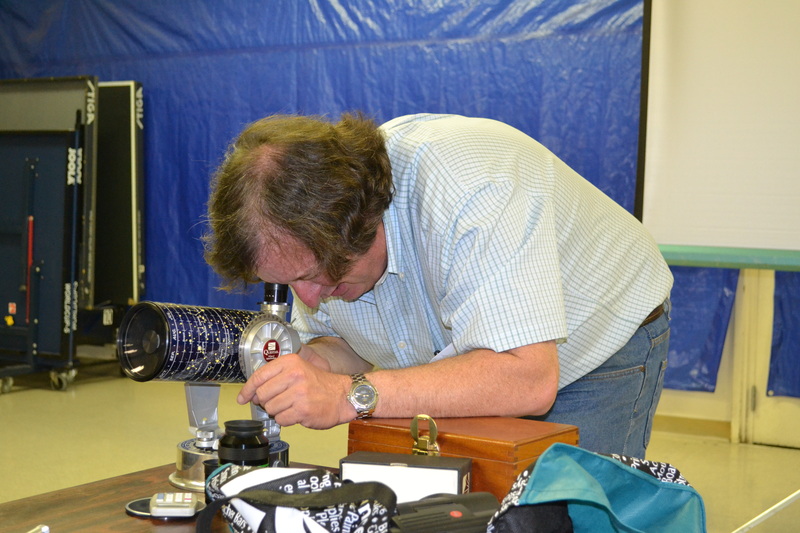 On June 24th, Gordon Reade taught a class on telescopes. The photo above shows Gordon with his Questar. Gordon does not have aperture envy. He assumes everyone else has weight envy. Just in case you are aperture hungry, Gordon discussed the features of a Dobsonian. Photos are courtesy of Michael Rossell. After the class, a Star Party was held at the park.